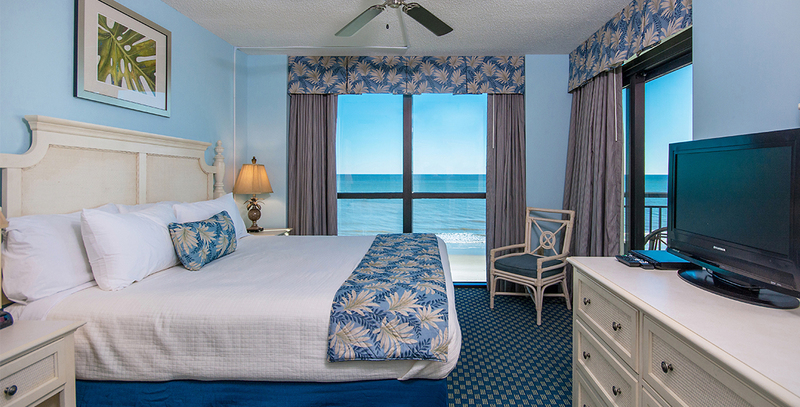 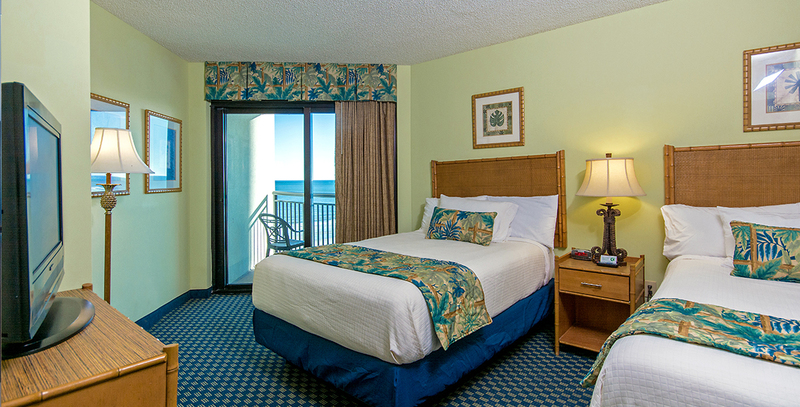 Our Oceanfront Deluxe 3 Bedroom Condos are equipped with a master bedroom featuring a king bed, private bathroom and private balcony door, a second bedroom which features a queen bed and a third bedroom which has two double beds and a private angled ocean view balcony. 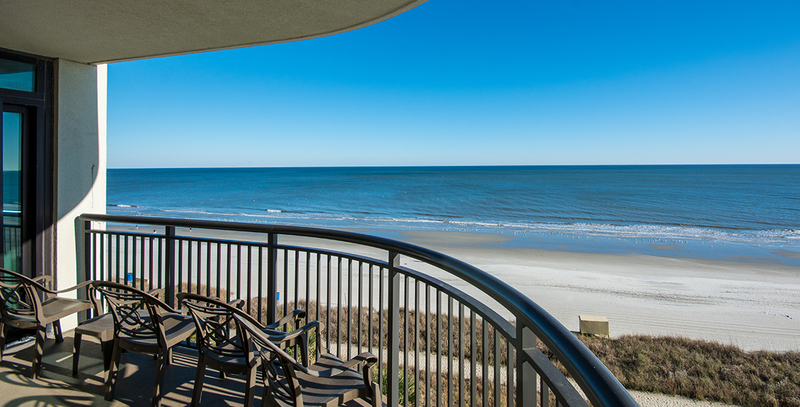 There is an additional common bathroom located at the entrance of the condo. 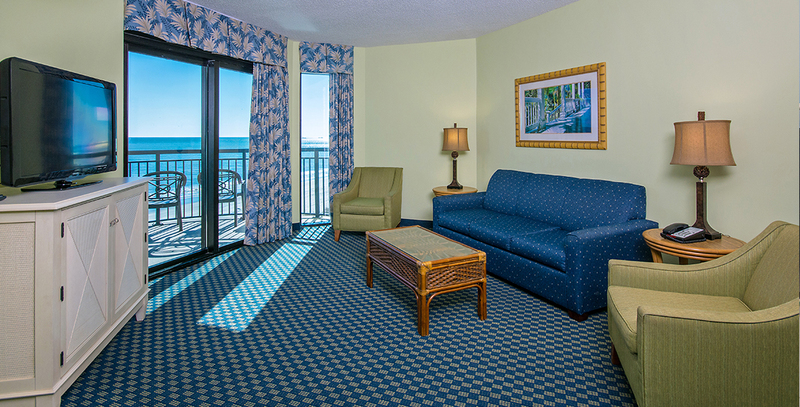 The living room has a sleeper sofa and also features a fully oceanfront balcony on the south corner of the Cayman Tower with an amazing panoramic view of the Atlantic Ocean. 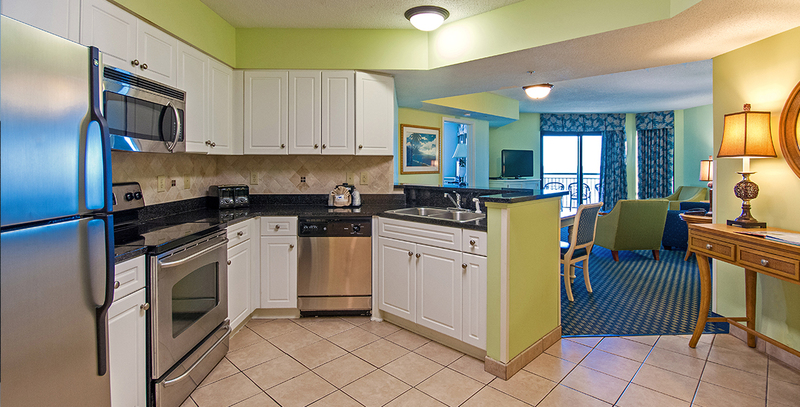 These units have full kitchens, including a dishwasher, basic dishware and cookware and a six person dining table. 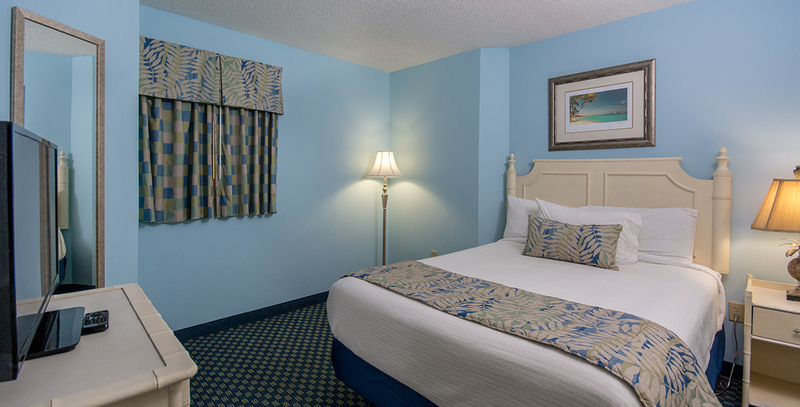 Units come with a stackable washer/dryer, iron and ironing board, hair dryer, HDTVs, a digital in-room safe and wireless Internet that can be accessed throughout the resort. 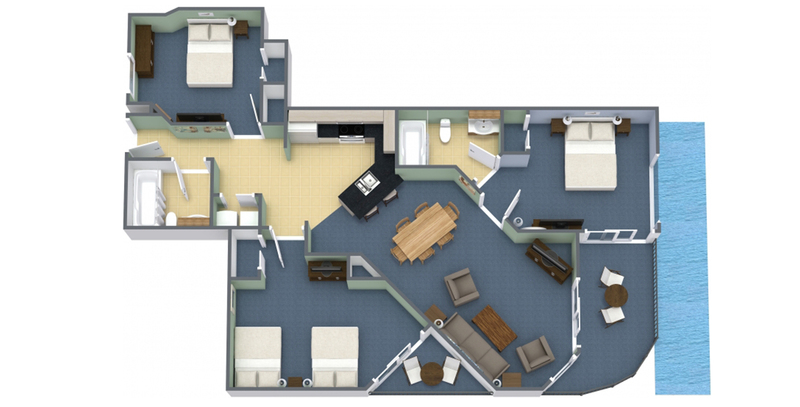 With 1,337 square feet, these units sleep 10 people comfortably.